Gunther Wegner from LRTimelapse.com and Matthias Uhlig just posted the first video review of the RamperPro advanced timelapse controller. The RamperPro is now supported in the latest version of LRTImelapse. This way you are sure that the XMP files from the RamperPro are compatible with LRTimelapse. This way you can use the very accurate XMP corrections of the RamperPro with the great post production capabilities of LRTimelapse. We are very happy to announce that we have joined hands with LRTimelapse. The latest version of LRTimelapse now has support for our RamperPro advanced timelapse controller. The RamperPro enables you to make advanced timelapse series with both Nikon and Canon camera's. You can even control two camera's and two motion control rigs at the same time. The RamperPro can trigger motion controllers like the MX2 and MX3 from Dynamic Perception or the eMotimo TB3. These motion control devices suspect an external switch that notifies them to move their motors. 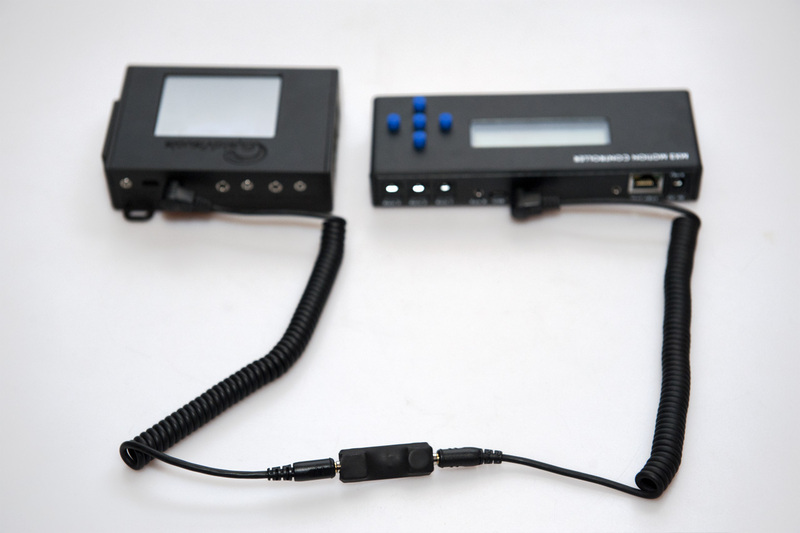 ElysiaVisuals is happy to announce that the RamperPro time lapse controller will be available from the 24th or March. This is a big milestone for our company. We spent two and a half years in the development of the RamperPro. It all started with a very basic microcontroller and ended up in a very powerfull touch screen enabled controller. The result is the most professional, most capable and most feature rich time lapse controller in the world. We are very excited to announce that ElysiaVisuals can now deliver true full automatic ramping without the chance of over or under exposing your images. This is still an experimental feature of the RamperPro, but we will include it in the firmware of the first units that we will ship on the nth of March. We are happy to show the first real product images of the RamperPro to you. You can find more of them at the RamperPro product page at: http://www.elysiavisuals.com/content/elysiavisuals-ramper-pro-3d-ramper-usb-timelapse-controller. The only difference with the final product is the finish of the housing. The final version of the housing will have a soft-feel coating. We choose this coating because it makes the RamperPro much easier to hold in your hands. We sometimes have customers who ask us how to connect our nanoMoCo break-out-board to the nanoMoCo stepper motor controller. One of our customers was so friendly to draw it all out on this image. Please use this schematic if you need any help with wiring the two boards together. We ship the RamperPro to customers wold wide. You don't have to pay VAT if we ship your order to countries that are not member of the EU or outside Europe. This means that customers from the US, Canada, Australia (and all other non EU countries) will be invoiced without VAT.